I don't ever want to have to answer the infamous "last meal" question, mostly because I love way too many foods to narrow it down. My last meal would have to be some sort of all-you-can-eat buffet to ensure I get all my favorites! One thing's for sure, however, and it's that ice cream would be a non-negotiable. In fact, I'd probably start and end my last meal with ice cream. 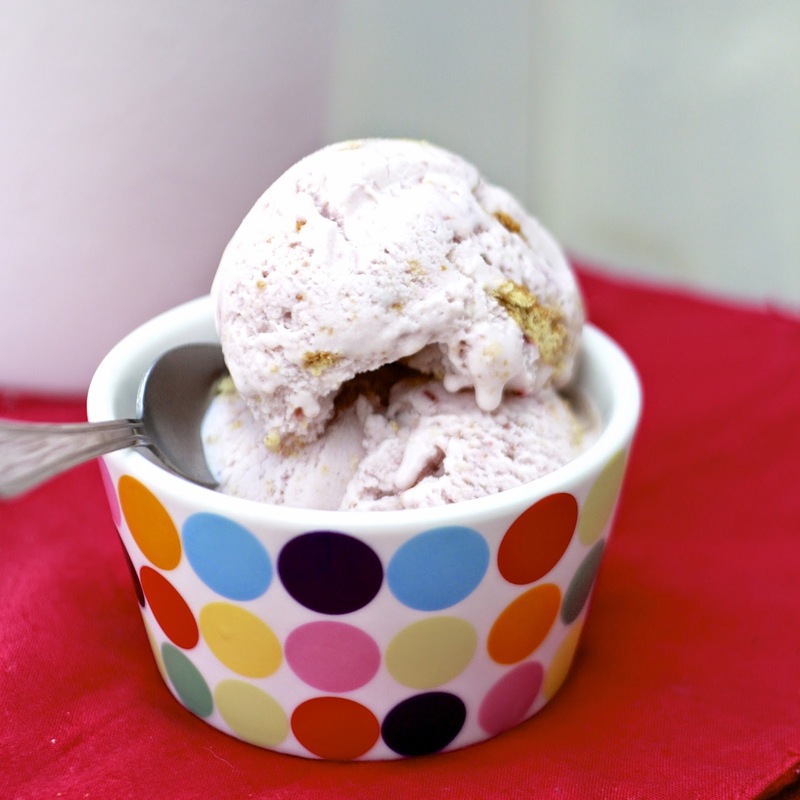 Like most homemade ice creams, this cheesecake ice cream is far better than any store bought cheesecake flavored ice cream we've tried. I've said it before and I'll say it again; you cannot beat the flavor of freshly made ice cream from scratch! Try it once and you'll be a convert forever! 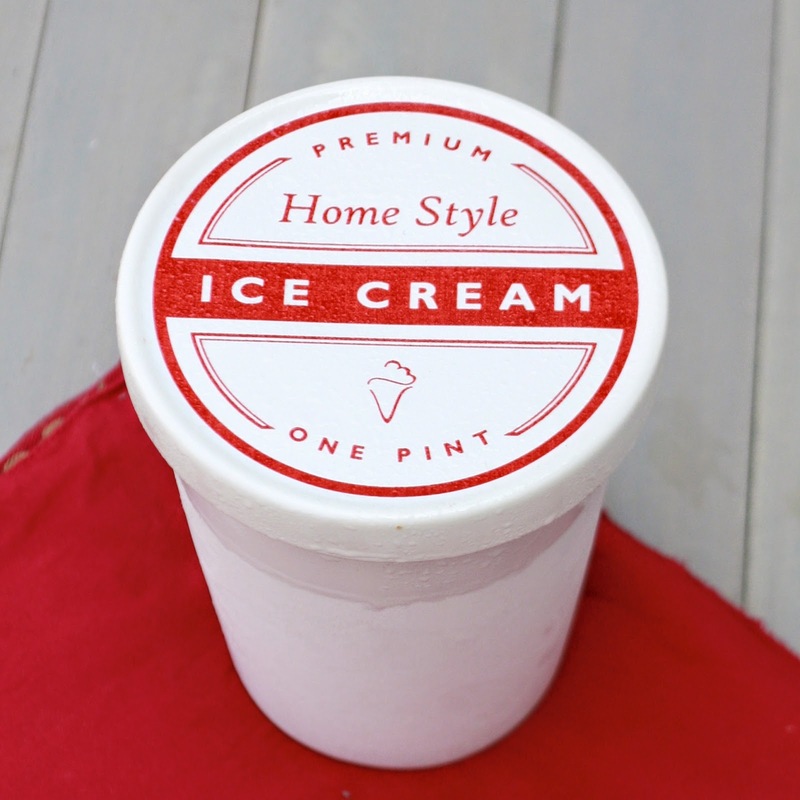 We still buy ice cream, mostly because I don't have time to be churning ice cream day in and day out, and because when the homemade stuff is in the house, it goes waaaay too fast! One of the best parts of cheesecake is the graham cracker crust, which I tried to emulate here by adding crushed graham crackers to the finished ice cream. I also swirled in some raspberry jam, which turned the ice cream a pretty shade of pink, not to mention a fruity tang. The possibilities are endless with the base cheesecake ice cream recipe...enjoy it plain, topped with fresh berries, swirl in oreo crumbs and serve with hot fudge, or throw in chunks of brownie or chocolate chips! 1. Combine half and half, cream cheese, sugar, triple sec, vanilla, and salt in a blender and blend until smooth. Cover and chill in the fridge until completely cold, at least 4 hours, or overnight. 2. Freeze mixture in ice cream maker according to manufacturer instructions. Just before ice cream is finished, warm jam in a microwave safe container for 30 seconds or until liquid. Mix into ice cream along with crushed graham crackers. 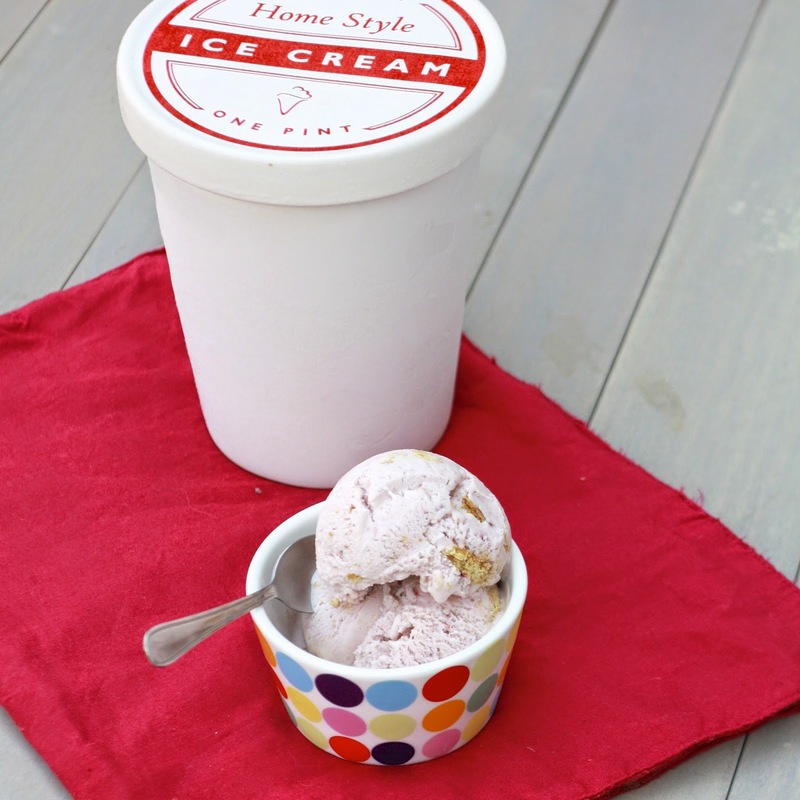 Transfer ice cream to a freezer container and freeze until hardened.